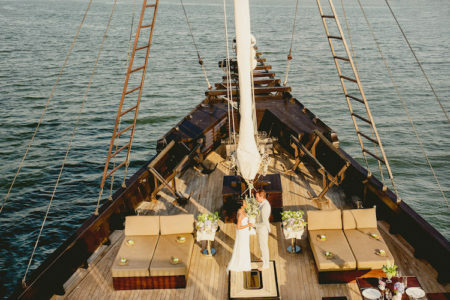 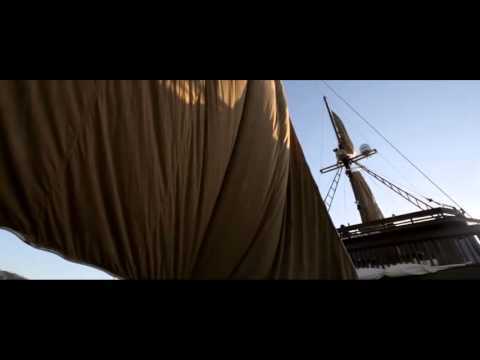 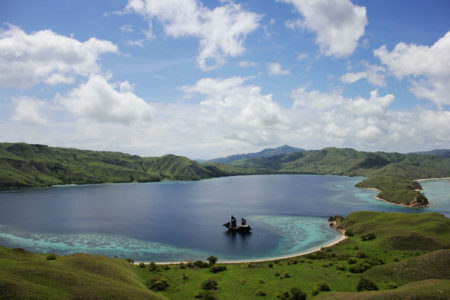 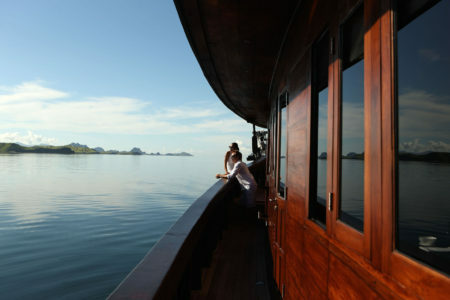 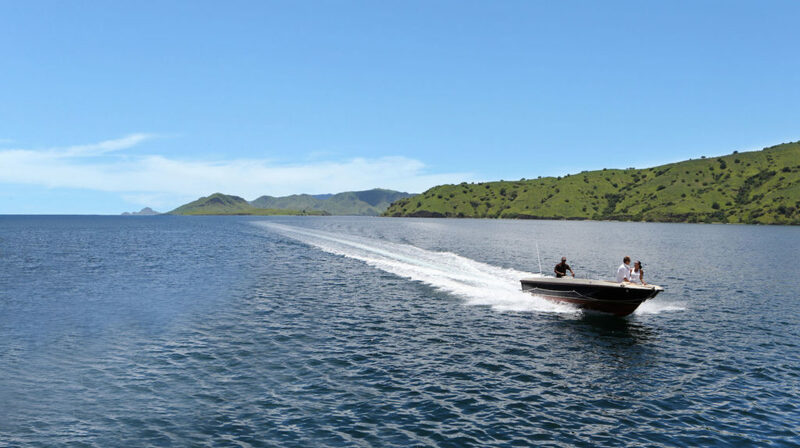 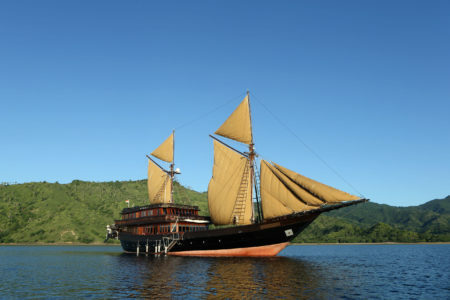 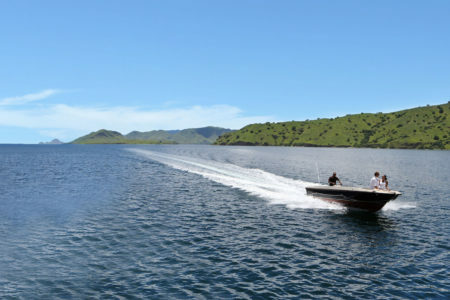 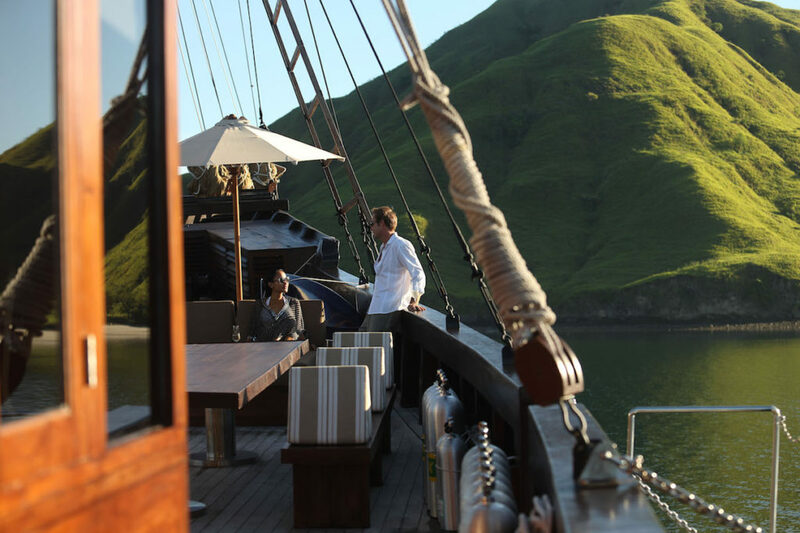 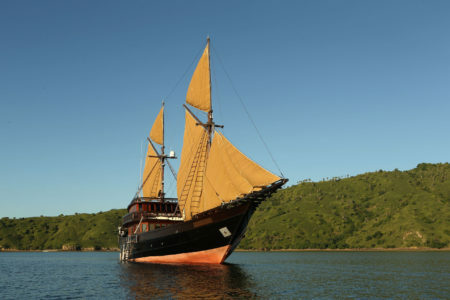 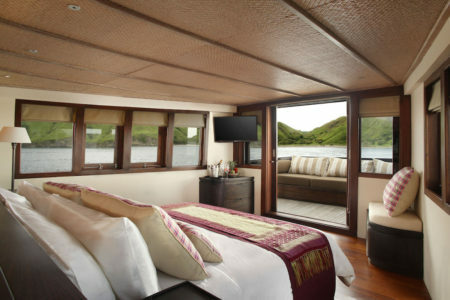 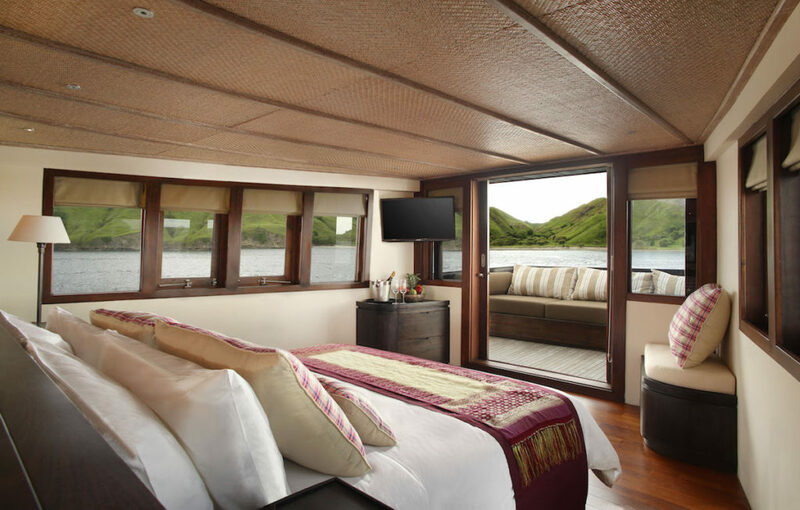 Alila Purnama, translated as “Full Moon”, is a luxurious liveaboard Phinisi ship offering expeditions to some of the most spectacular regions of the Indonesian archipelago. 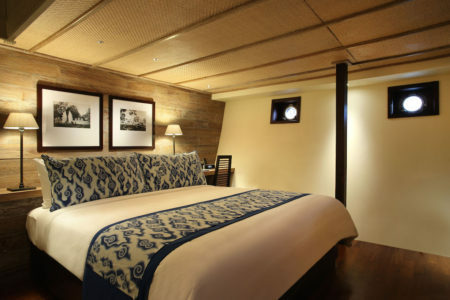 Handcrafted in the traditional style of a Phinisi, as used by the Bugis seafarers from south Sulawesi in Indonesia, the 46-metre-long Alila Purnama consists of three decks, and provides elegant, ultra-modern accommodation for up to ten guests in four double deluxe suites and one master suite with a private deck and large wraparound windows offering 180-degree views of the ever-changing landscape. 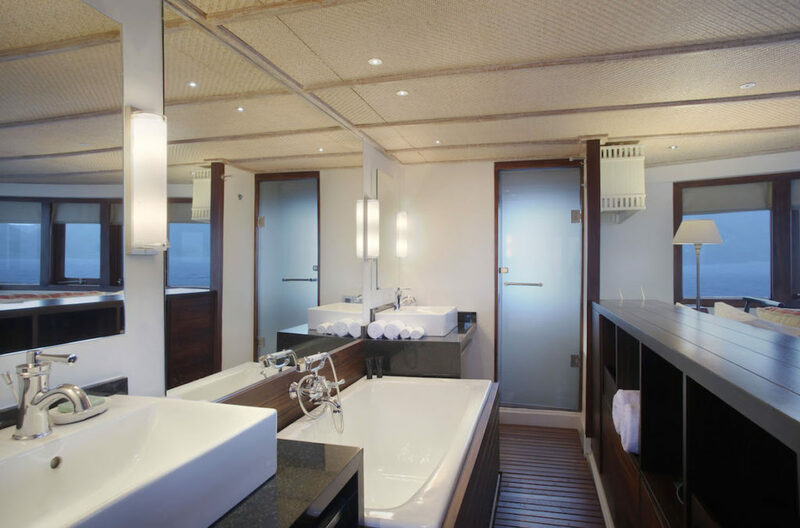 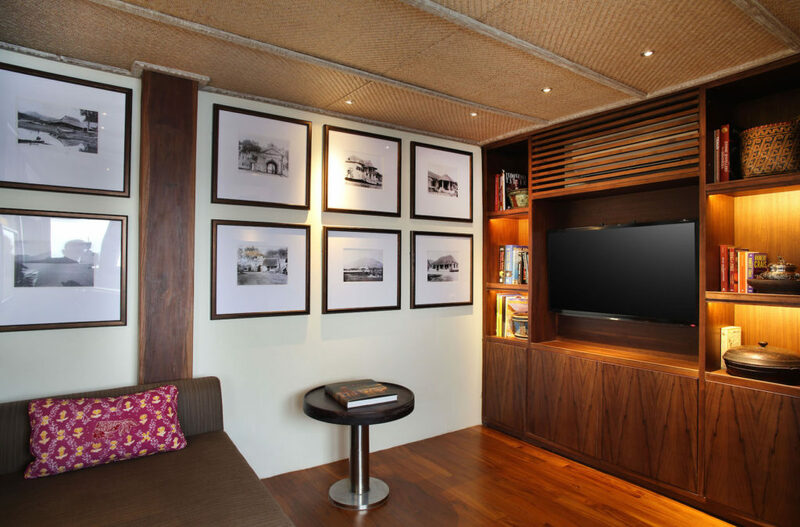 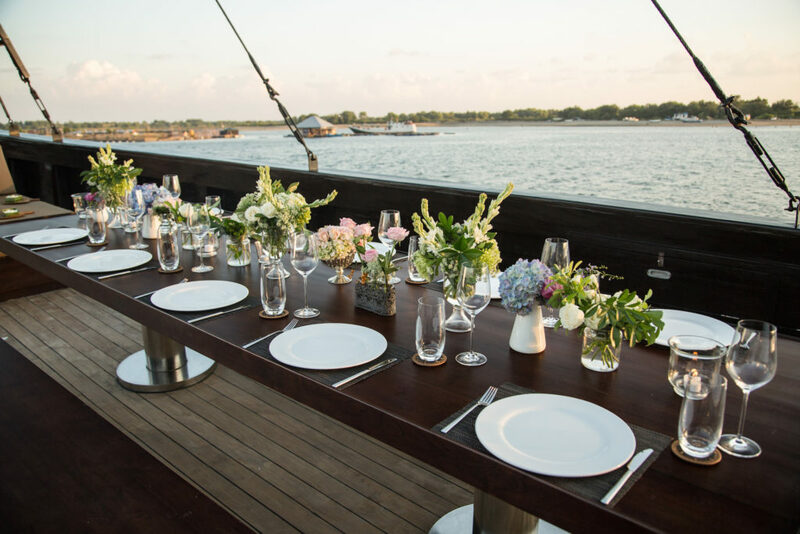 In keeping with Alila’s emphasis on style and sustainability, the furniture throughout the ship is custom-made from teak, rattan and other locally sourced materials from Indonesia. 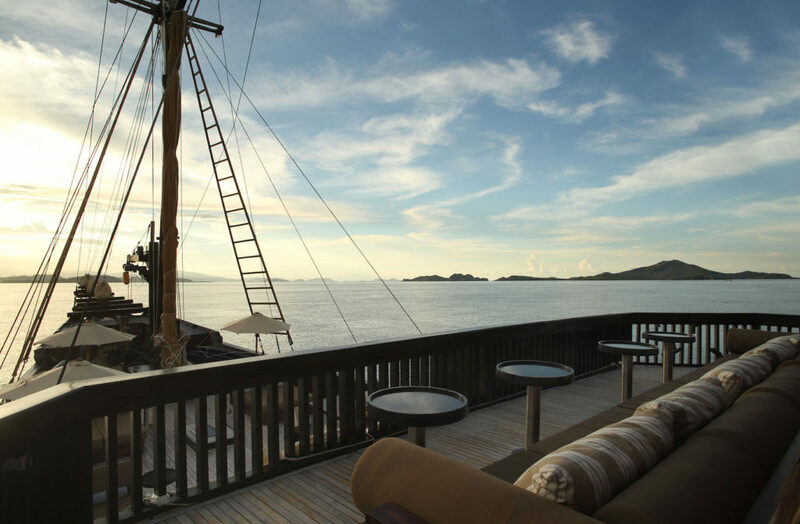 A library, lounge, bar, indoor dining area seating up to 10 persons and plenty of space outside to unwind and enjoy the views. 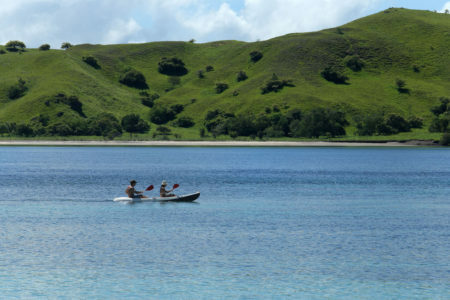 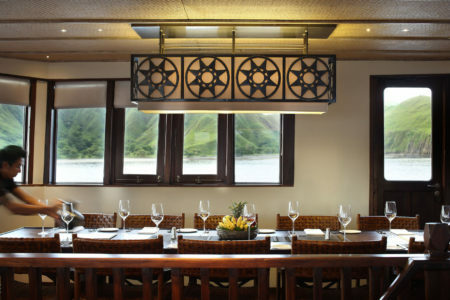 Alila Purnama is also equipped with satellite WiFi access, enabling guests to upload their trip photos on a daily basis. 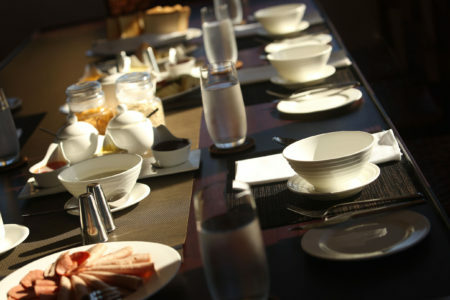 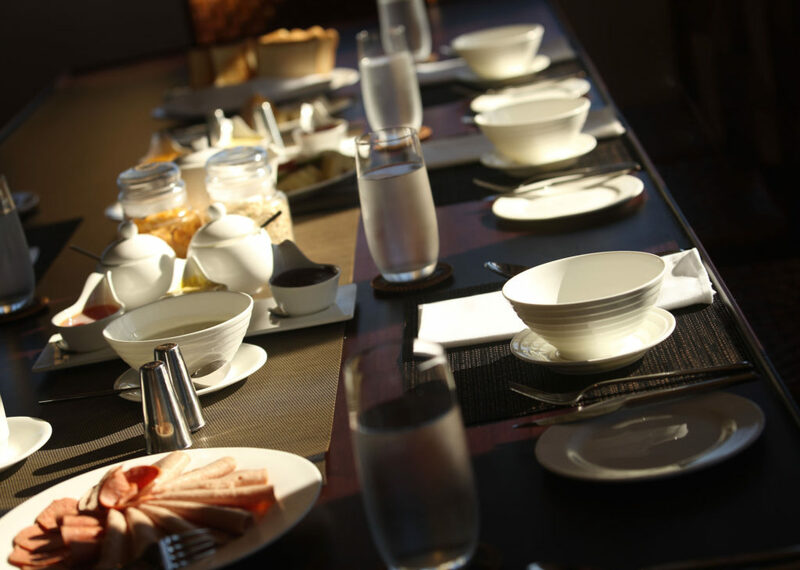 Guests are able to dine at leisure in the air- conditioned dining room or on the outdoor deck. 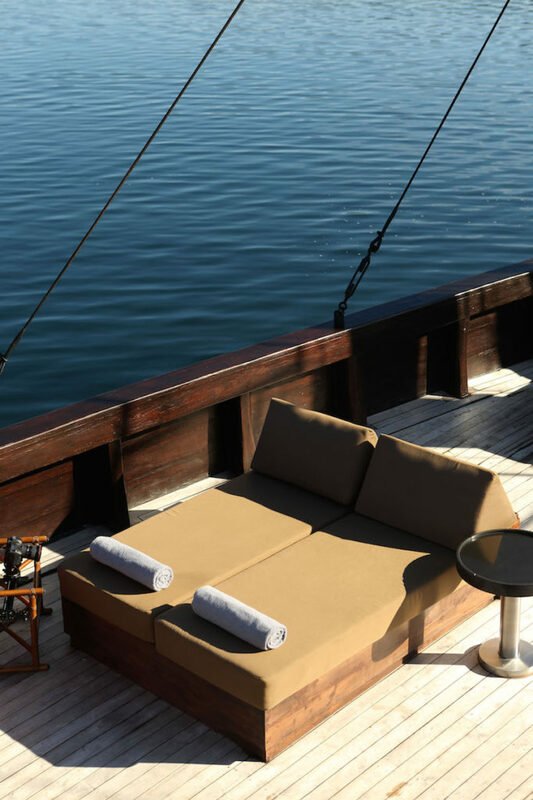 The main outdoor deck has large oversized daybeds shaded by umbrellas – perfect for relaxing day or night and enjoying the fresh sea breezes. 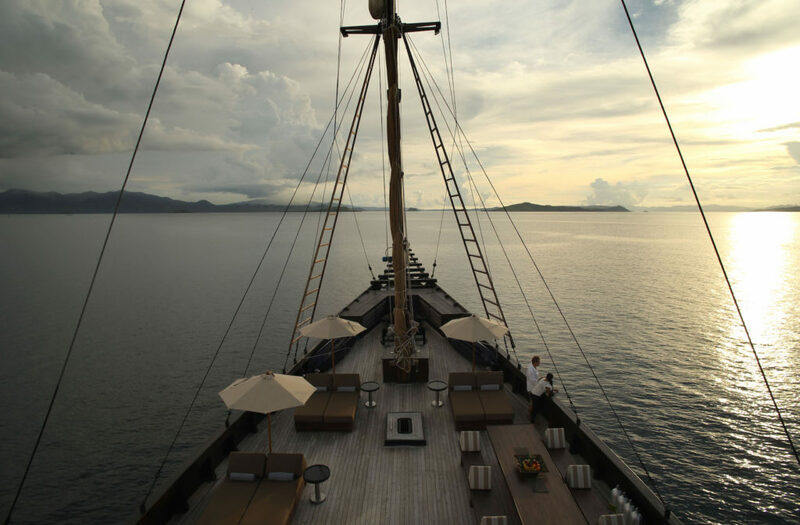 And with a spa therapist aboard the vessel, guests can succumb to the soothing pleasures of a signature Alila massage onboard or on a nearby beach. Alila bathroom amenities as well as Alila’s signature secret scent and outdoor activity amenities, including sunblock, after-sun cooling gel, mosquito repellent and face spritzer, are also provided. 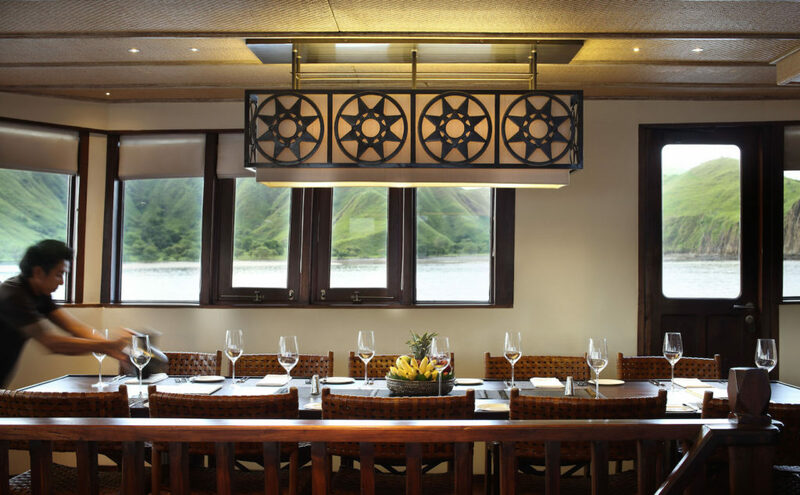 The hallmark of Alila is the combination of innovative design and luxury in unique locations, set apart by an unprecedented level of private space, crafted artisanship, personalised hospitality and bespoke learning journeys. Alila means “Surprise” in Sanskrit, which suitably describes the refreshing character of our properties and impressions of our guests when they stay with us. 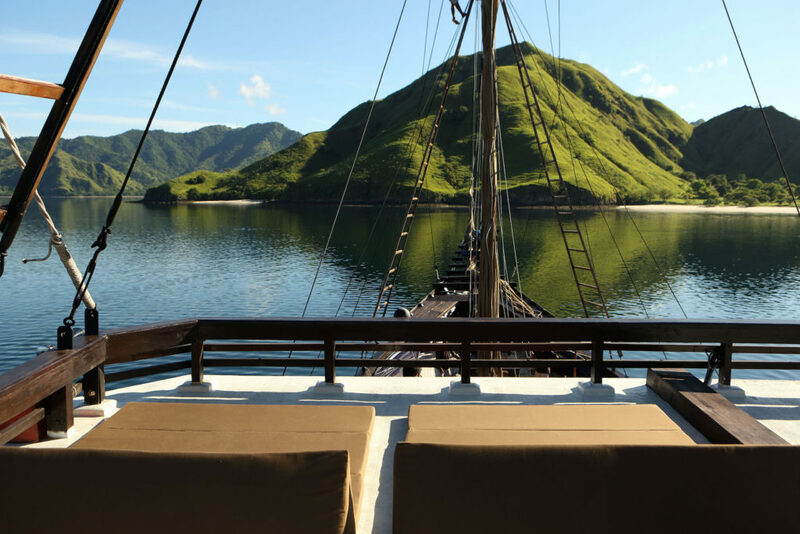 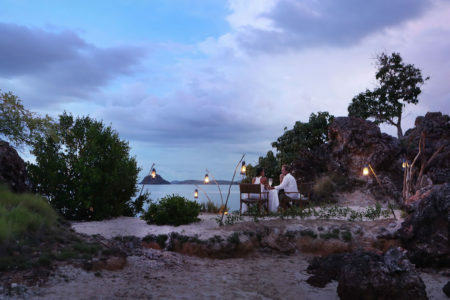 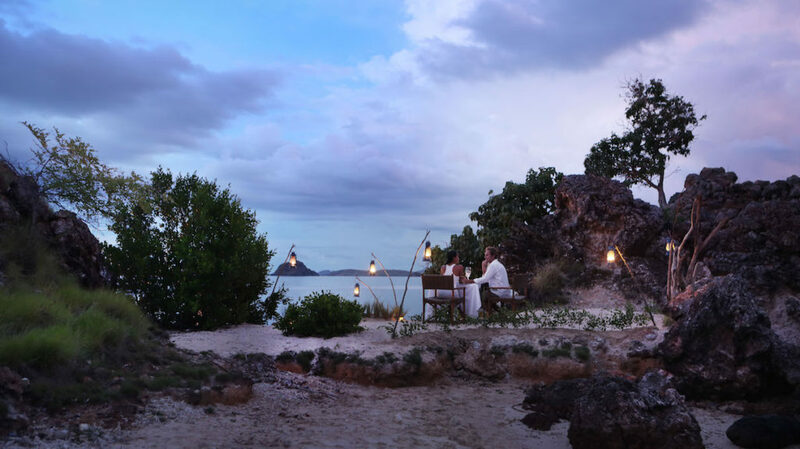 In support of sustainable tourism, Alila hotels adopt EarthCheck operating standards, integrating the natural, physical and cultural elements of their environments.To stay at any of Alila’s hotels or resorts is to embark on a destination experience. 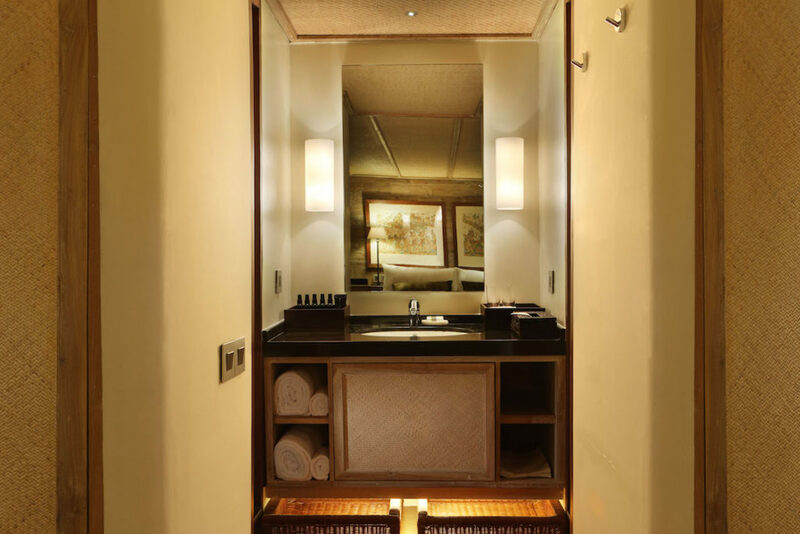 Be it in recreating the flavours of the local cuisine, enhancing your well-being through ancient healing arts or the thrill of adventure sports, you will re-discover the luxury of living at Alila. 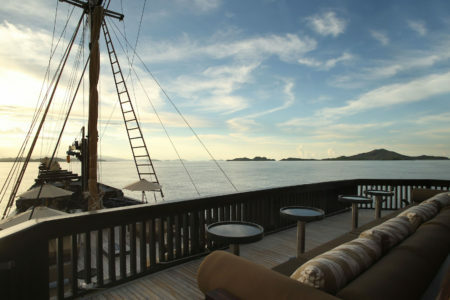 Exclusive luxury living arrangements, with all land transfers, scheduled excursions and meals, refreshments and non- alcoholic beverages, unlimited dives, activities such as snorkeling, sea kayaking and stand up paddle boarding, shore excursions, island hopping, and admission fees and permits to the National Parks. 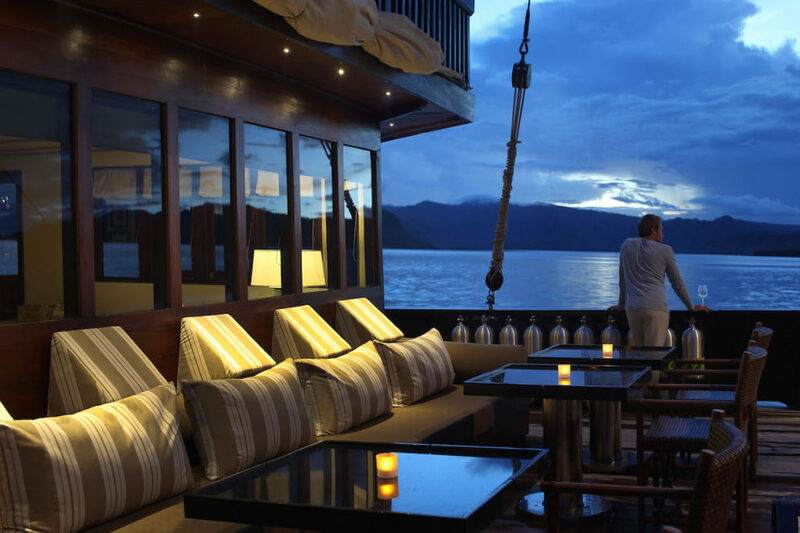 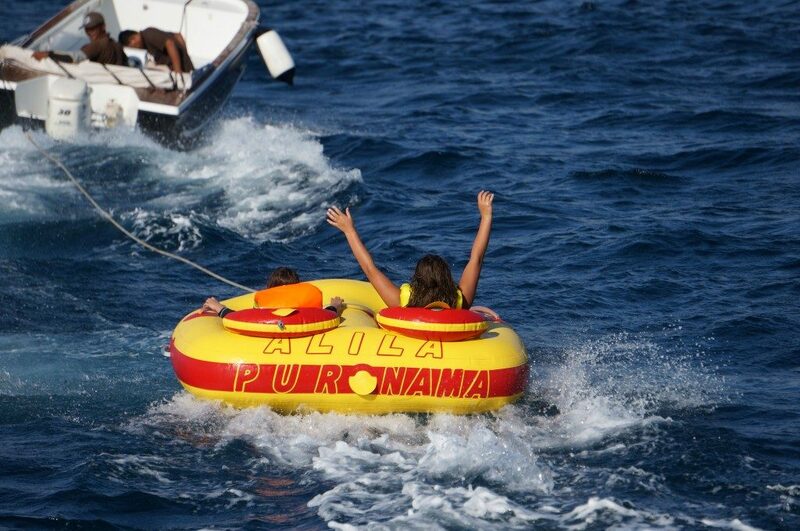 Guests will be thoroughly looked after by our amazing crew of 16, including the cruise director, professional dive instructor, resident chef and spa therapist. 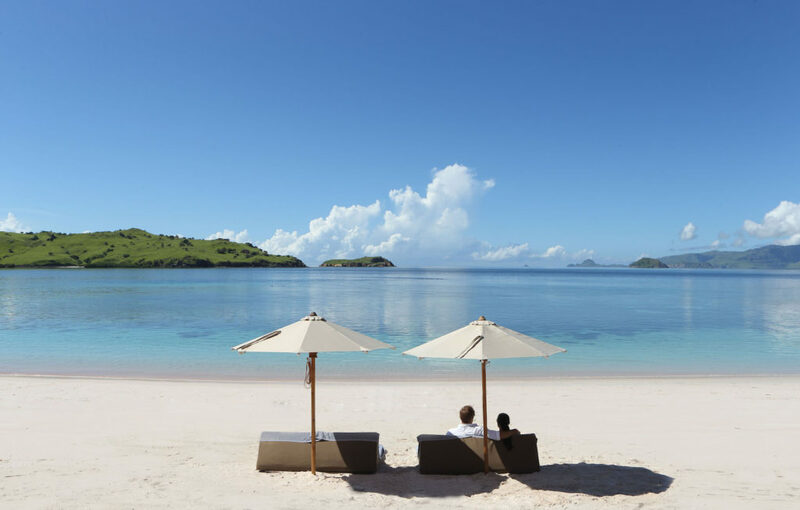 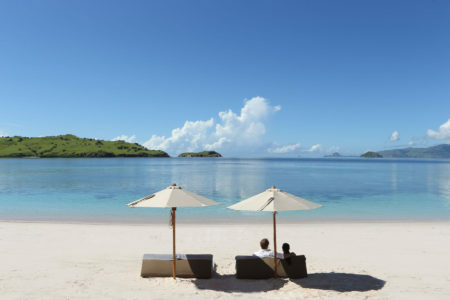 Exclusions: Domestic Flights, Alcohol, Spa Therapies and Dive Certifications. 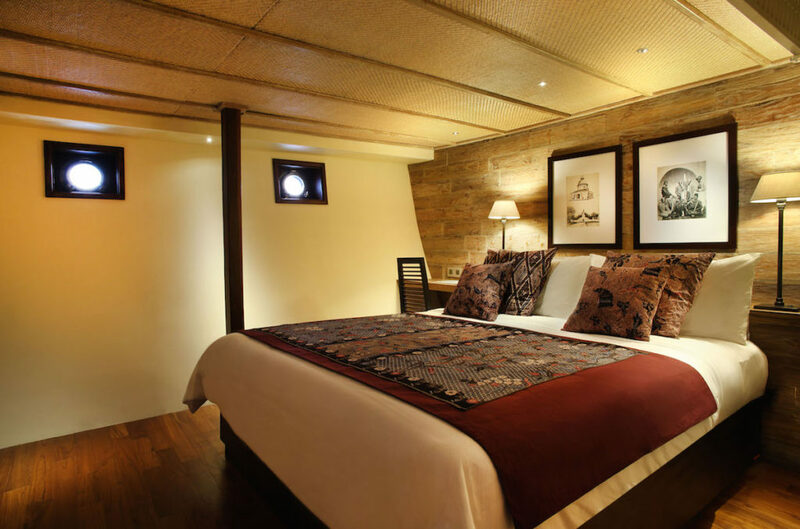 Sleep like royalty in the elegantly furnished Jawa Suite, whose decor evokes the noble splendour of ancient Javanese courts and kingdoms. 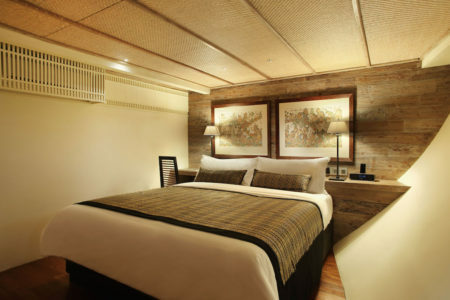 Inspired by Indonesia’s rich heritage and furnished with sumptuous comfort in mind, the Bali Suite is decorated with textiles and arts fashioned from Bali. The Madura Suite is a haven of elegant charm and luxurious comfort, furnished with richly coloured textiles and art reflecting the traditions of Madura Island. Rest with your head in the clouds in the Cirebon Suite, adorned with authentic ‘Mega Mendung’ batik, whose distinctive cloud-like motifs in shades of blue put you in mind of the sea and the sky.